This series of webinars on Digital Marketing Essentials bridges the knowledge gap between EU SMEs and fast-changing digital market in China. China has made its rapid transition to focusing on mobile digital development. Domestic companies reap the benefits by looking at user data, including geolocation, gender and even zodiac sign. Unfortunately, EU SMEs often lack necessary resources and support to maximize benefits from the market. In order to support EU SMEs gaining more market competitive advantages, this series provide business insights and practical solutions with case studies for SMEs to build solid foundation in their business. The webinar series is composed by three parts. Part one navigates the foundations of digital market with an overview of current digital trends and changes, as well as key characteristics of the Chinese market and its consumers. Part two provides detailed information on key social media platforms in China, including the most popular messenger platform, key video platforms, live-streaming apps, and community forums. The last part of this series addresses how to draft marketing strategies, such as market entry planning, local adaptions, monitoring and tracking, as well as case analysis. As the Centre assists EU SMEs to enter the Chinese market, we believe this series of webinars on Digital Marketing Essentials provide the missing link between EU SMEs and China’s digital landscape, its wide range of applications and the hands-on methods that are used for understanding the market, gaining customers and achieving a successful business. How can EU SMEs use the Chinese social media? To purchase the webinar, you will need to log in or sign up on Vimeo platform. Please note you will need a VPN to view the video if you access it from mainland China. If you would like to purchase and view the video but do not have a VPN, please contact Ilaria.Perla at Ilaria.Perla@eusmecentre.org.cn. Having graduated from the London School of Economics with a Bachelor’s degree in International Relations, Chris moved to Beijing in 2015 for work. Chris executed various research and branding projects with the Delegation of European Union, Audi, Daimler and Volkswagen. 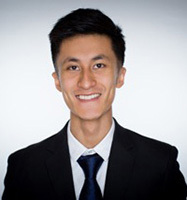 Chris currently acts as an independent consultant for trommsdorff +drüner China office and pursues his Masters in Global Affairs at Tsinghua University under the Schwarzman Scholars Program. With over 11 years’ experience as a strategic design consultant and with a deep understanding of the user, the cultural and the business perspective of projects, Bjørn founded Branditat to support brands in navigating the cultural context. With a background as an industrial designer, seeing things through the eyes of the user is of first priority. Bjørn has served as Experience Designer for Audi City – a new digital car showroom format, supported premium automotive brands in their brand adaption for China and further helped developed the digital sales process for various small and big companies in China and abroad.